Dolcery Desserts Wedding Cakes are unique and custom made just for you with a special touch of love from two individuals; Bride & Groom. 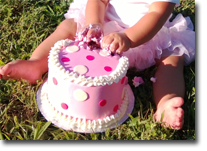 Dolcery Desserts Birthday Cakes will turn your birthday celebration into an unforgettable moment. At Dolcery Desserts we make all Dream Cakes a Delicious Reality. At Dolcery Desserts we make all Dream Birthday Cakes and Wedding Cakes a Delicious Reality. Order your very own moist cake covered with fluffy butter cream for that special occasion or just because you want to delightfully indulge in one of our scrumptious handcraft cakes. We even have gluten-free cakes. Cupcakes and desserts heaven! If you have not been to Heaven yet… You’re not far away from it. Contact Dolcery Desserts and enjoy one of your very own Cupcakes scratch made topped with deliciously creative options. We offer gourmet cupcakes, healthy desserts, gluten-free cakes, diabetic dessert options and more. Ordering from Dolcery Desserts has never been easier. You have the option of filling out the online form, downloading the form then fax it or email it to us, call us, or messaging us via our social media accounts to begin your order process. Let’s get your delicious desserts and simplify your wedding planning and birthday planning process! Order your dream cake today. We’ll make it a reality. "Best cake you will ever eat, made by the nicest people! Worth every penny. I can't recommend them highly enough!" "I love this company because they work with buttercream icing and they make it look like fondant, only it tastes a lot better." "So wonderful! great service and amazing product! so glad you are still around!" "Did an amazing job on my 3-tier wedding cake.. All of the guests complimented it and said how it was the best wedding cake they'd ever tasted. It was beautiful and delicious! Only reason I didn't rate 5 stars is because it was A tad expensive ($900) but quality was definitely there and customer service was amazing!" "Wonderful gluten-free products! And the strawberry frosting is soooo good." 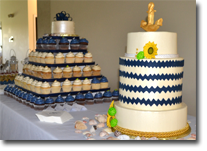 “Dolcery Desserts provided a WONDERFUL cake for our wedding in May 2012. 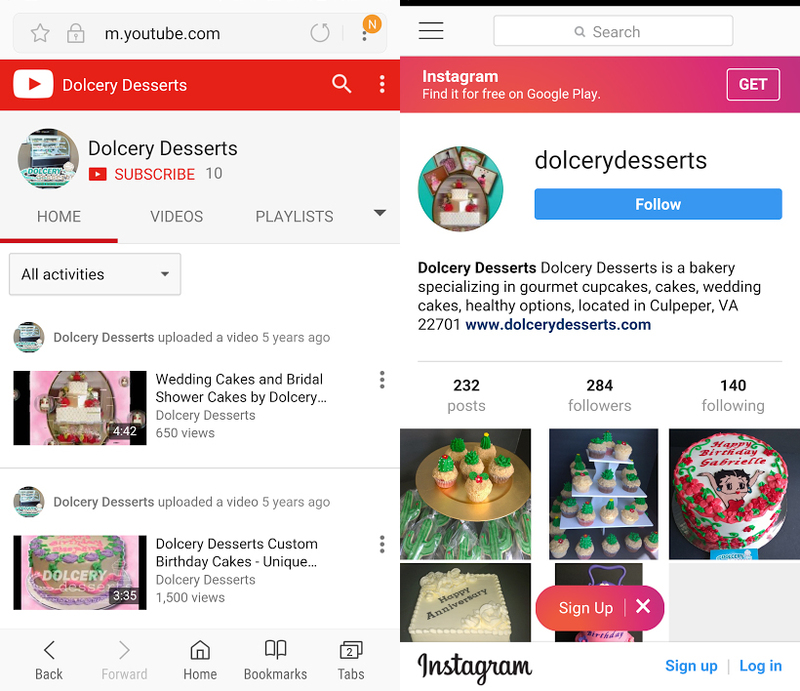 I had searched a number of bakeries in the area and tasted several of the more prominent ones but was not satisfied with the quality of the cakes I was finding — until a friend recommended Dolcery Desserts. They were very friendly and accommodating throughout the process. 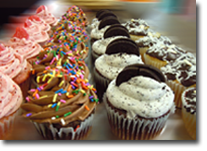 A particular advantage they have over other bakeries during the selection process, is the ability to sample many different flavors since they sell cupcakes everyday in all of the flavors that they use in their cakes. I wanted a simple, yet elegant cake, nothing ornate. Most important, it had to TASTE GOOD. We were very happy with what we received. Our cake was delicious! Firm, moist and fresh. It was so good that many of our guests asked for seconds. Win free and discounted sweets! 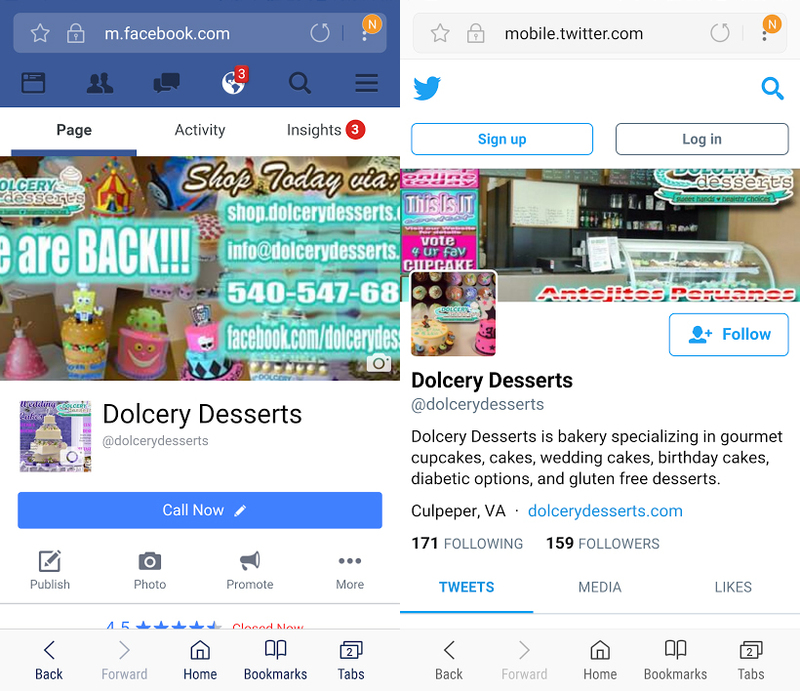 Follow us on Facebook, Twitter, Instagram, Yelp, Youtube, Google to find out ways to enjoy your favorite Dolcery Desserts sweet free or at a discounted price.